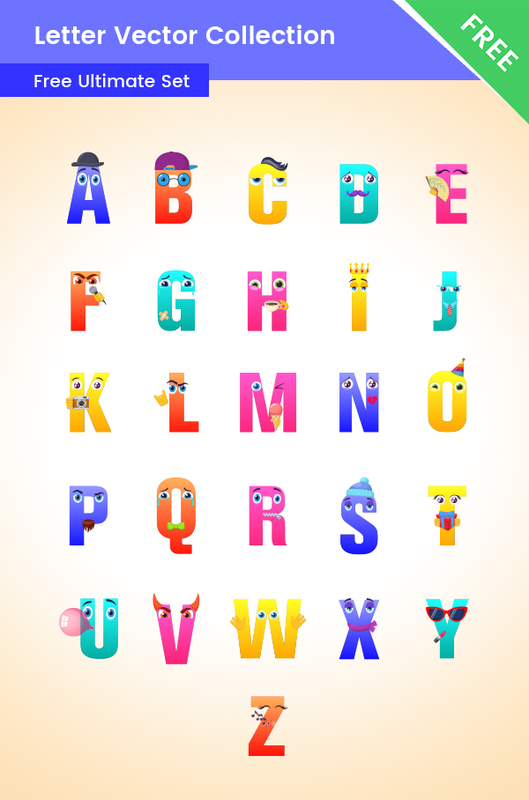 All of the English alphabet letters made as a cartoon clipart. These letters are available for free download, so don’t hesitate and grab them now. In the download .zip you will find all letters in the English alphabet. They are made of vector shapes, so you can easily modify their colors to fit your designs. If you are not familiar with vector-based software, you can use the transparent png file which is also located in the .zip archive. These letter cliparts are perfect for school and education related designs. You will definitely grab the attention of the kids.